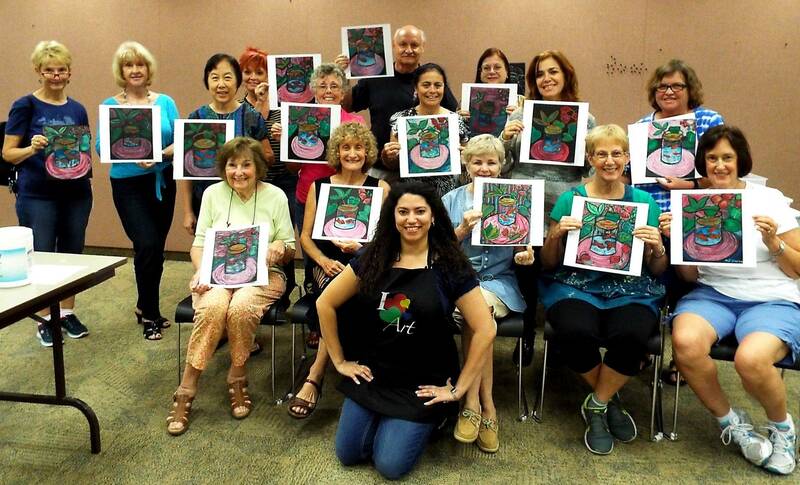 Art Club at the Southwest Library Branch. The Community School of the Arts (CSA) program at the library is designed for adult students, ages 18 and above. Workshops are offered in drawing, acrylic painting, collage, sculpture, watercolor, and oil pastels, during the spring and fall semesters. Fees for these workshops are donation based, thanks to the generosity of Women in the Arts' benefactors, community business sponsors, in partnership with the Southwest Branch Library. 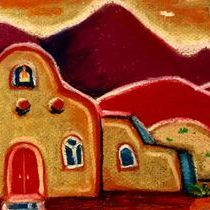 Enjoy this step-by-step workshop using pastels to complete a piece in the style of Mexican folk art. Materials are provided or bring your own. No art experience needed. Instructor: Xiomara Aleksic, Women in the Arts Inc. This is a Community School of the Arts' program presented by Women in the Arts Inc. in partnership with the Southwest library, sponsored by Dr. John Nowell, Southwest Orlando Eye Care. Participants will work with acrylic paints on canvas (16x20) inspired by the signature style, geometric abstraction, and minimalist works by Carmen Herrera. Basic techniques will be discussed and demonstrated in a step-by-step format. Materials are provided or bring your own.